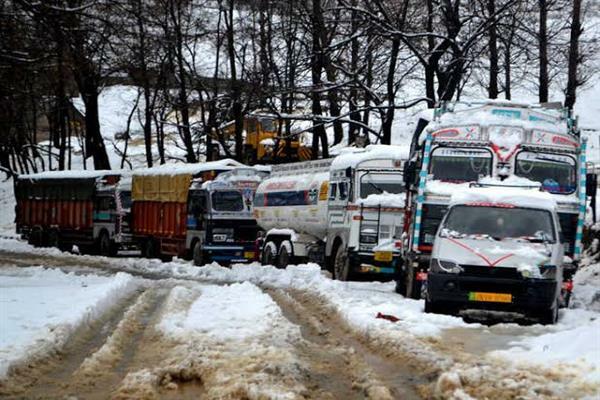 Srinagar, Jan 24 (KNS): The traffic on Srinagar-Jammu highway will remain closed for the fourth consecutive day on Thursday following fresh snowfall in Banihal sector. An official said that though the debris of an avalanche that hit the Jawahar Tunnel were removed and both tubes made functional, it was not feasible to allow traffic on the highway as the road has turned slippery. The decision was taken keeping in mind the safety of travelers, the official said. Traffic police has advised the intending traveller not to undertake the journey without contacting the control rooms in Jammu and Srinagar.